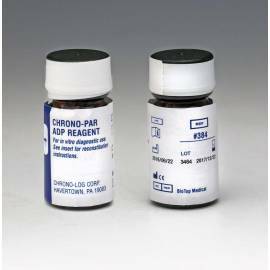 Chrono-Log reagents of high concentration to studies on platelet aggregation. 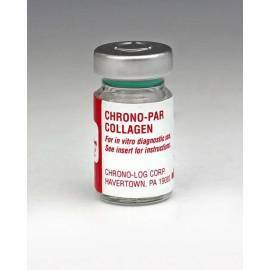 We stock a wide variety, such as ADP, Ristocetin, Thrombin, Epinephrine, Arachidonic Acid, Collagen, and even CHRONO-LUME. 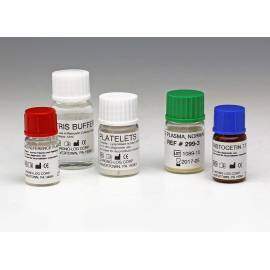 Are reagents of high accuracy due to its high concentration as used for each assay microporciones, which translates into low cost per test. 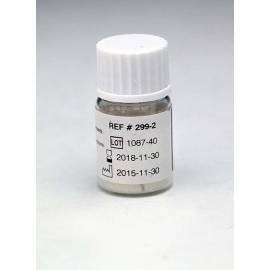 Reagent 384 ADP. 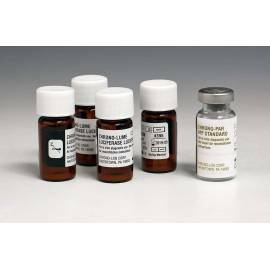 Each vial contains 2.5 mg of adenosine diphosphate lyophilized. Yield: 500 to 1,000 tests in PRP or whole blood. To request a quote including packaging and shipping to their facilities in info@galileoequipos.com or by calling 911923737. Reagent 385 collagen. Vial of 1 mg of fibril of native collagen (Type I), of tendons, of equine animals suspended in glucose solution, isotonic to a pH of 2.7. Yield: 500 to 1,000 tests in PRP or whole blood. To request a quote including packaging and shipping to their facilities in info@galileoequipos.com or by calling 911923737. Reactive 386 of thrombin. 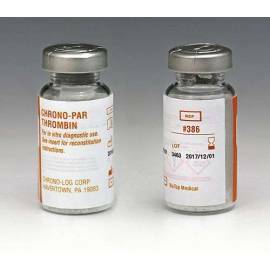 Road with a minimum of 10 units of thrombin lyophilized from human plasma. Yield: 10 to 20 tests in PRP or whole blood. To request a quote including packaging and shipping to their facilities in info@galileoequipos.com or by calling to 911923737. 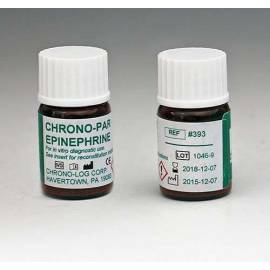 Reagent 393 of epinephrine. Lyophilized preparation of bitartarate 1-epinephrine bitartarate with stabilizers. Performance of 1000 tests or more. To request a quote including packaging and shipping to their facilities in info@galileoequipos.com or by calling 911923737. 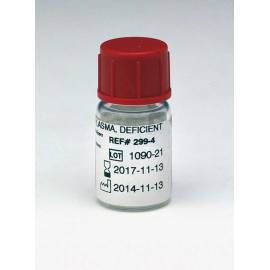 Reagent Kit 395 CHRONO-LUME® for measurement of ATP release. Road: 0.2 mg luciferin, about 22,000 units d-luciferase + magnesium sulfate, albumin, human serum and stabilizers + buffer. Yield: 50 to 100 tests in PRP or whole blood. 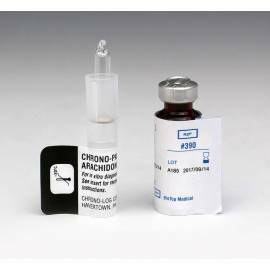 4 vials of CHRONO-LUME® a vial of adenosine 5'trifostato. Request a quote with packing and shipping info@galileoequipos.com or 911923737. To be used in quantitative determination of Factor VIII activity cofactor in plasma citrated. 15 determinations: ristocetin 7.5 mg/vial; 6 ml of human platelets lyophilized; 1.0 mL of normal plasma reference von Willebrand disease; 0.5 mL of plasma deficient reference of von Willebrand disease; 12 mL of TBA. Request a quote with packing and shipping info@galileoequipos.com or 911923737. 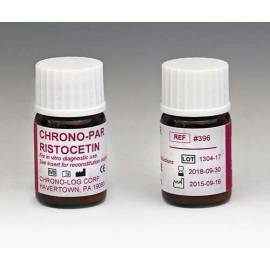 Reactive 299-1 ristocetin to the use of the determination of Factor VIII activity of the cofactor ristocetin plasma citrated. 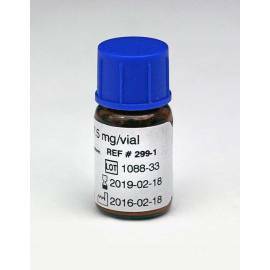 Each vial contiene7,5 mg of ristocetin cold freeze-dried to a yield of 15 determinations at 1.0 mg/ml. 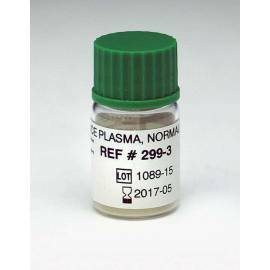 Reactive 299-4 used for the quantitative determination of the activdad of the Factor VIII cofactor ristocetin plasma citrated. Vials of 1ml of human plasma, dried standardized to the activity of the cofactor ristocetin.